When asked by her husband Daniel what she wanted for her 80th birthday, Joanna Rose replied “Something I’ve never seen before” and “a gift for New York.” She got her wish. 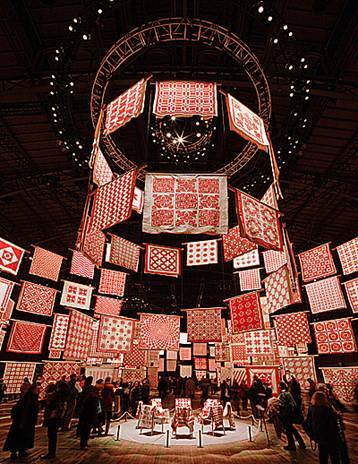 In March, 2011, the American Folk Art Museum held an exhibit at New York’s Armory showcasing Joanna’s magnificent collection of 651 quilts. 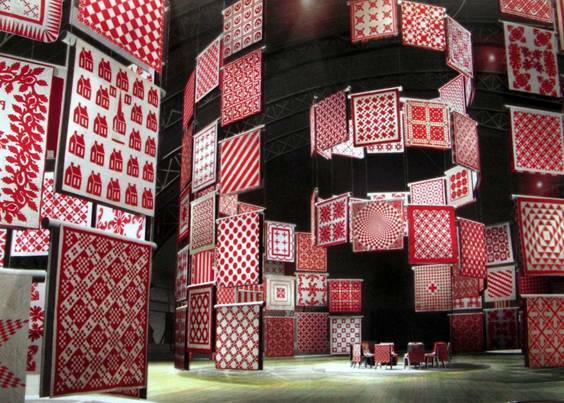 The twist – each and every one was executed in only red and white. It was a feast for the eyes and a banquet for the spirit. When asked about her outstanding collection, Rose replied “I’m not a collector.” She describes herself as “an accumulator, a treasure hunter.” In her words “A collector is always bettering what he has. I only have accumulations of things.” I know exactly what she means. We ‘Accidental Collectors’ amass items we love, often in an effort to rescue them from obscurity. The items may not be perfect, but they’re perfect for us. We accrue, assemble, compile, corral, round up, load up, cache, and gather in an effort to save what we believe should be treasured. We find the items worthy of attention, often for their connection to history or culture. At other times, they simply tug on our heartstrings. Utilizing only two colors, these quilts illustrate how the same material, interpreted through different personalities, hearts and minds can produce a myriad of masterpieces. 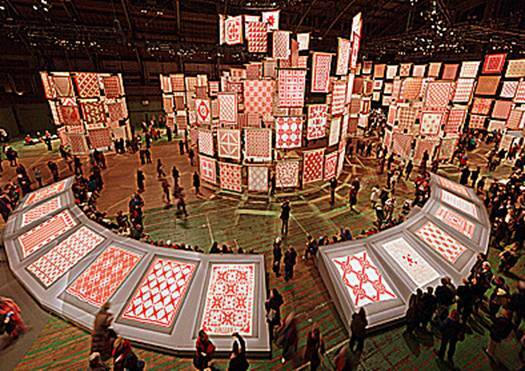 The energy emanating from these quilts is breathtaking. The longer you look at them, the more they take on a life of their own. Had these quilts simply been hung on racks like so many carpet samples, the impact surely would have been lost. Kudos to the installation team; to the craftsmen who understood that these quilts, by the very nature of their tactile energy, needed to be seen in a format that enveloped us, much as they wrapped and enfolded their owners centuries ago. (The exhibit soared 60 ft. high.) Viewers could surround and submerge themselves in the angles and curves, the patterns and compositions which reflected hundreds of quilters, thousands of hours, and millions of stitches, joined in tribute to the creative spirit. Elizabeth V. Warren, guest curator and authority on quilts, who assisted with the planning of the show, in an interview with Paddy Johnson, explained that the collection, started in 1956, showcases how designs change over time. The traditional 19th century basket quilt evolved as it was influenced by Art Nouveau and Art Deco. Rose donated 50 quilts to the American Folk Art Museum in appreciation for the show. How thrilling for both the museum and its patrons to know that at least a portion of this collection will have a permanent home where they can be cherished, appreciated, and studied. 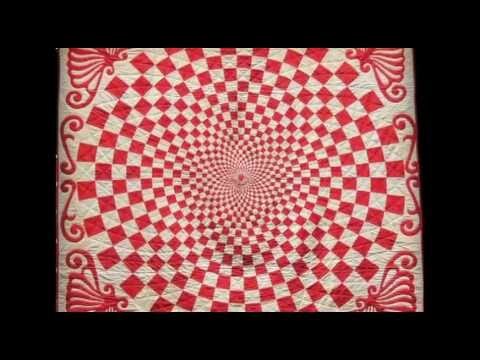 Several videos showcasing the quilts are available for viewing on the web, enabling you to enjoy a small sampling of the collection. We collectors eagerly await the arrival of a book about the quilts (we’re practically salivating, actually) slated for publication in 2015. You may wonder why someone who doesn’t collect quilts ardently anticipates the book. Because we understand the thrill of the chase, the satisfaction of discovery, and the tenacity it takes to amass a collection of such depth and breath. All photos were taken at the American Folk Art Museum show “Infinite Variety: Three Centuries of Red and White Quilts” presented at the Park Avenue Armory, New York, NY, March 25-30, 2011. At this time I do not have attributions for the individual photographs.